Tired of the same old hot dogs? We are too. 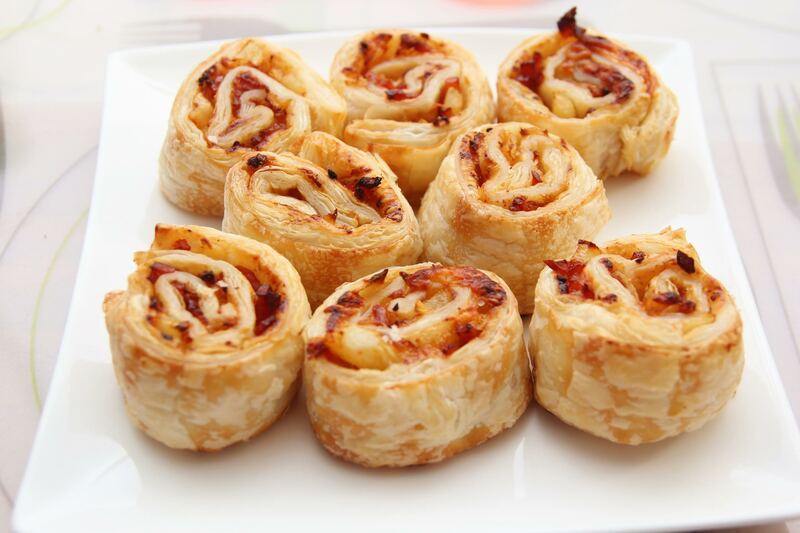 These scrumptious pizza rolls are a perfect way to switch things up on your next adventure! Made with store-bought pizza dough, they are easy, but you can customize them to your own taste. Best of all, kids LOVE to eat these, so there will be no leftovers to worry about when dinner is done. Roll out your pizza dough to form a rectangle. Spread pizza sauce over the rectangle of dough. Cover with cheese followed by any additional toppings you would like. Sprinkle seasonings lightly, then roll pizza to form a log. Tuck the edges in and wrap in thick foil. Place in the freezer until your adventure. Store in your cooler and set out until almost thawed. To cook, place foil log on fire pit. Cook for about 15 minutes then flip over and cook for an additional 10-15 minutes. Slice up and enjoy! It’s that simple, and that easy! After that, all you have to do is enjoy every bite.